To find your dream UX job, start by clearly defining your dream. Sounds simple enough but we often see successful, skilled UXers who aren’t happy in their current role unable to define the parameters that could make all the difference. When asked what characteristics they think of when they think of their dream job, we often hear a flexible schedule, great pay, substantial benefits package, good reputation, and a solid team top the list. But to find the right position, many are missing a key component – introspection. By approaching an employment opportunity with a clear understanding of your unique needs, you can find positions that foster your growth and fulfill professional goals. Fortunately, working with a UX recruiting firm like UX Hires provides a leg up on the competition when seeking a new role. Recruiters will vet organizations, roles, and individuals to align interests beyond just skill set, including factors like culture, company structure, and values. More organizations are recognizing the benefits of remote work, and so are employees. For some, the right work-life balance might mean filling a role that allows for remote work two days a week, while another individual may be looking for a role that allows them to be in the office once a month. Although the idea of working from a remote location may be appealing, there are a number of things to consider. Teamwork, group analysis, and communication can be challenging when working remotely, both when the majority of the team is in office or remote. Ask yourself, do I work well independently? Remote workers, while having access to teams and management through communication technology, check-ins, and/or time in office, must be capable of remaining self-motivated and on task. This can be difficult for some, while others thrive in an environment with limited distractions and office chit-chat. Take an honest look at what environment will allow you to thrive and consider factors like home office space when deciding if remote work is right for you. Knowing how well you work in a team environment is critical in determining what roles to pursue, but productivity isn’t the only important factor to consider. Personality traits may not determine your ability to produce amazing work, but they can contribute highly to your satisfaction and motivation. Consider the role or roles you would like to see yourself in and how that role fits within an organization’s structure. Does this role require you to be working with small teams on quick sprints, or will you be required to sit within a larger team and take on long-term projects? Knowing where your personality will thrive can determine your happiness and longevity within an organization, key components in finding your dream job. Some individuals thrive under pressure and can easily go with the flow when it comes to work, others prefer the structure of knowing what they are going to get day to day. Although all workers must be prepared and acknowledge that the unexpected may take place, not everyone will blossom in an unstructured and fluid environment. For instance, consider being on the team of a tech startup with a B2C app that is being marketed to a vast audience. Two months after working for the company you hear the app is shifting its desired customer base to a finely specified target. The pivot may be exciting and bring with it challenging work that demands you shift gears and your current processes. Later, say after a month or two, you’ve restructured your capabilities only to be informed the brand will now be shifting to a B2B model and prioritizing a whole new customer base. If you’re uncomfortable and cringing at the thought of so much change and uncertainty over a short period, you may be better suited for a role within an organization that is built on an already established foundation. But for those who are nimble, don’t take big change personally, and want to take part in the establishment of a growing brand, a startup culture might be the perfect fit. 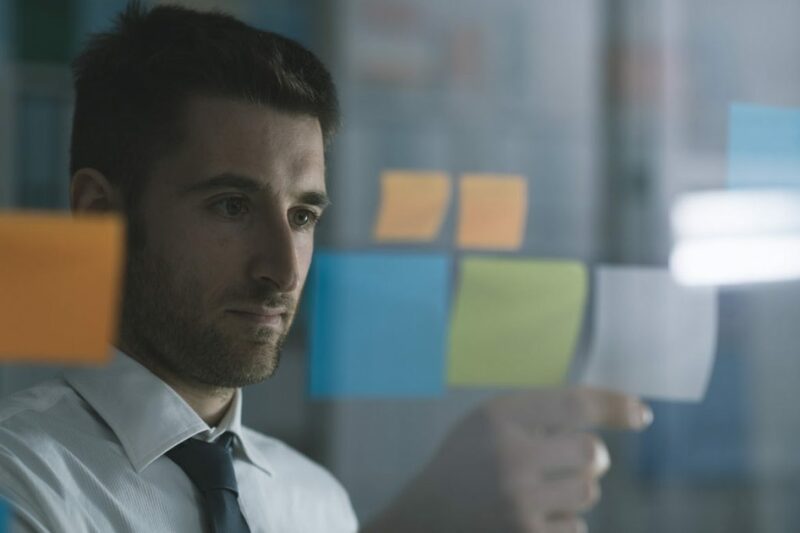 Determining whether or not you thrive when daily operations are structured or flexible is another key component in determining whether or not a potential position will be a good long-term fit. Do you find it exciting, tolerable, or a deal breaker to take on additional tasks or roles when working on a project? Do you need a detailed and concrete calendar or are you open to a flex schedule that may change in the course of the month, week, or even day? Those who can handle and excel in the organized chaos of a company may be bored and stifled in another. When you can define the structure (or lack of) that brings out the best in you, your satisfaction can positively influence your demeanor and the work you produce. Specifically, in the UX space, aesthetic is important in delivering user-centric designs that aren’t just practical and functional but also deliver a beautiful experience. Having a clear design aesthetic may be more important in some roles than others but knowing the importance that your aesthetic plays into your contributions is something to think about. Is it important to you in your day to day job? Is it something you can easily adjust based on client or in-house needs? Be aware of what you want to be producing visually and respect your design goals in the process. Your dream job won’t be a dream if you aren’t working on projects that creatively fulfill you. As UX recruiters, we are aiming to find a match for each organization and candidate we work with that will be long lasting and provide a mutually beneficial partnership. Those candidates who are upfront and clear about their needs and their abilities have a higher chance of being successfully placed within an organization where they will thrive and grow than those who have padded their abilities or overly simplified their requirements for a position. Take the time to discern your likes and dislikes. Look back over your career and pinpoint the moments, jobs or situations that made you the happiest as well as most unhappy. Make a list of your ideal day-to-day tasks, responsibilities, and long and short-term deliverables. Consider the impact your personality will make on a team or organization, and how an organization or team can impact you. At UX Hires we don’t want to simply place you in a UX job, we want to place you in your dream UX job. When done right, your professional happiness can build a more fulfilling life – financially, emotionally, and creatively. And that’s the dream. UX Hires (www.uxhires.com) helps you build your dream UX team or find you the perfect UX job. We are experts in User Experience recruitment and understand brands and agencies alike. Thanks to our affiliation with Motivate Design (www.motivatedesign.com), a leading User Experience research and design agency, UX Hires has an unparalleled understanding of the UX Design, UX Research, and Visual/UI Design space and reach within the community. © 2017 Copyright 2017-2018 UX Hires. All rights reserved.